If you are currently looking for a Canon SD 790IS, Dell has it for $172. This entry was posted in Digital Camera and tagged Deal on December 7, 2008 by admin. 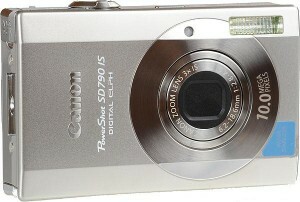 I posted about getting an Canon SD790IS a few days ago. Well, deals come and go but I couldn’t resist jumping on this one. For a limited time, you can get the New Canon SD880IS Digital Camera for $229.99 with a free Kingston 4GB SDHC Memory Card. 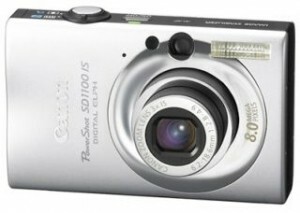 This camera retails for $300. It’s rare to find new Canon Cameras on sale when they first come out, but you also get a free 4GB Kingston card. I got this price at 7 PM PST on October 8, 2008. UPDATE 8:00 PM PST – The deal is dead. The price is now $285. Click Here to go to the Amazon product page. 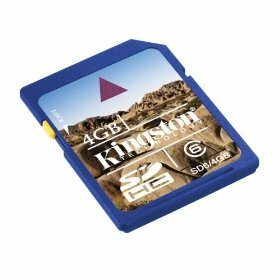 There should be a link to the Kingston card. If not, click here. The price of the Kingston card should be automatically removed at checkout. 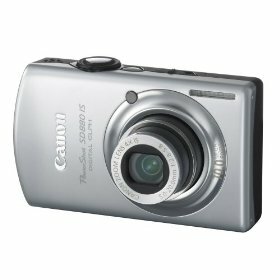 Review on the camera when it arrives. This entry was posted in Digital Camera and tagged Deal on October 8, 2008 by admin. 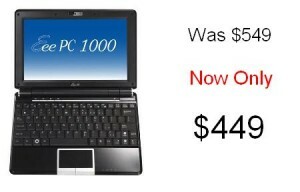 If you are looking for a little more than a netbook but refuse to pay more, check out this deal at Newegg.com. In my opinion, I’m not a big fan of the celeron processor, but at these prices, I’ll make an exception. For less than $500, you have a bigger screen and a CPU that is faster than the Intel Atom powering most netbooks. 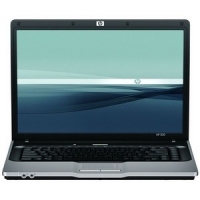 This entry was posted in laptops and tagged Deal, Newegg.com on September 29, 2008 by admin. It looks like I paid the early adopter tax when I purchased the Asus Eee PC 1000H. I paid $550, which is $100 less than when it was first introduced. Now Asus dropped the price again to $449. It’s in stock and available at Newegg.com. This entry was posted in eee pc and tagged Deal on September 9, 2008 by admin.